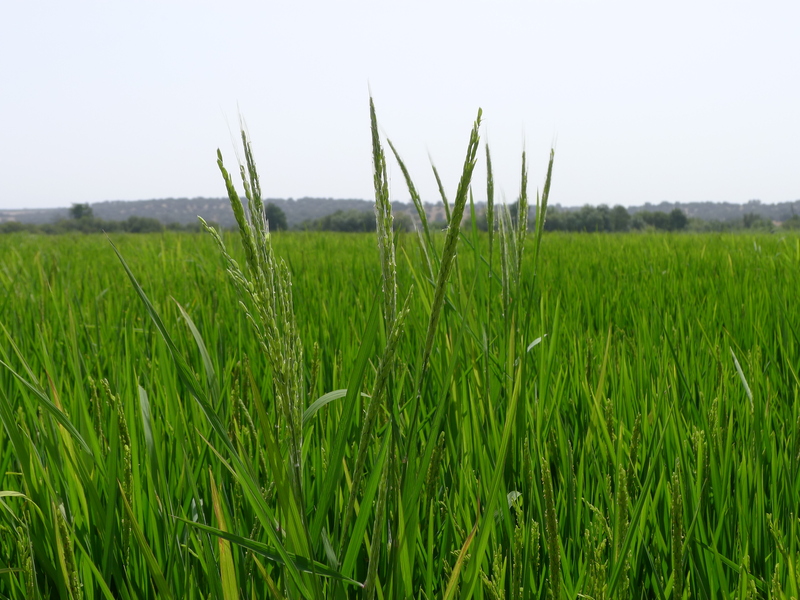 An aggressive weedy type of rice (Oryza sativa) overtops plants in a cultivated rice field in eastern Spain. 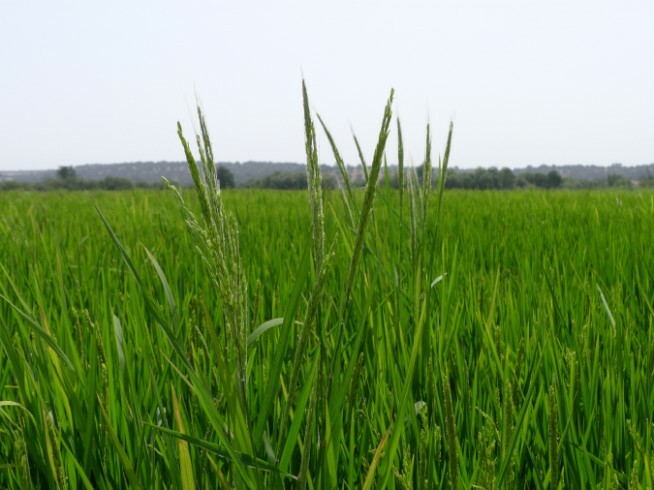 Controlling this conspecific weed without damaging the cultivated rice it invades is difficult for farmers. The Caicedo lab uses population genetic methods to understand how weeds have evolved from cultivated ancestors - knowledge that can then contribute to development of weed management practices.